FDA is alerting the public that preliminary results from a safety clinical trial show an increased risk of heart-related death with febuxostat (Uloric) compared to another gout medicine called allopurinol. FDA required the Uloric drug manufacturer, Takeda Pharmaceuticals, to conduct this safety study when the medicine was approved in 2009. Once the final results from the manufacturer are received, FDA will conduct a comprehensive review and will update the public with any new information. 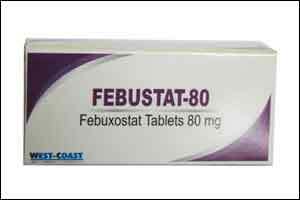 RECOMMENDATION: Healthcare professionals should consider this safety information when deciding whether to prescribe or continue patients on febuxostat. Patients should talk to your healthcare professionals if you have any questions or concerns. Do not stop taking your medicine without first consulting with your healthcare professional.